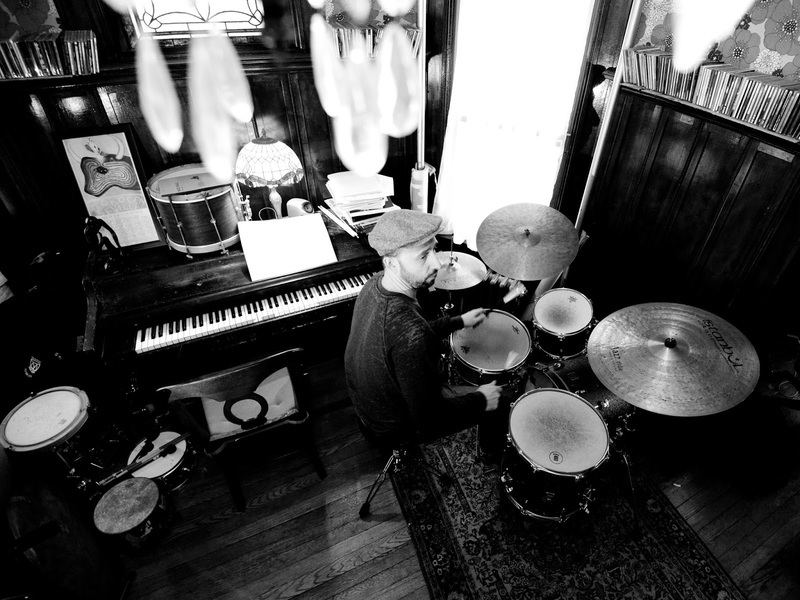 Ches Smith is best known to indie rock liner-note devotees as a percussionist who has appeared on over half a dozen Xiu Xiu releases (going all the way back to Knife Play). 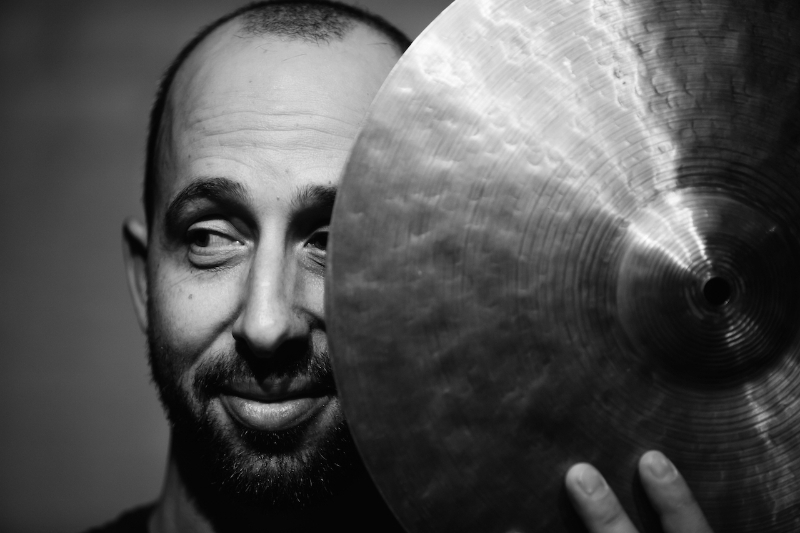 In recent years, he’s been consistently active on the contemporary jazz circuit—lending his talents to a series of celebrated albums by artists such as guitarist Mary Halvorson and saxophonist Tim Berne. The music of both those composers occasionally strays close to avant-rock, which helps explain Smith’s in-demand status around jazz’s cutting-edge galleries. But he also led those bands through quieter, softer passages, proving his depth and range. 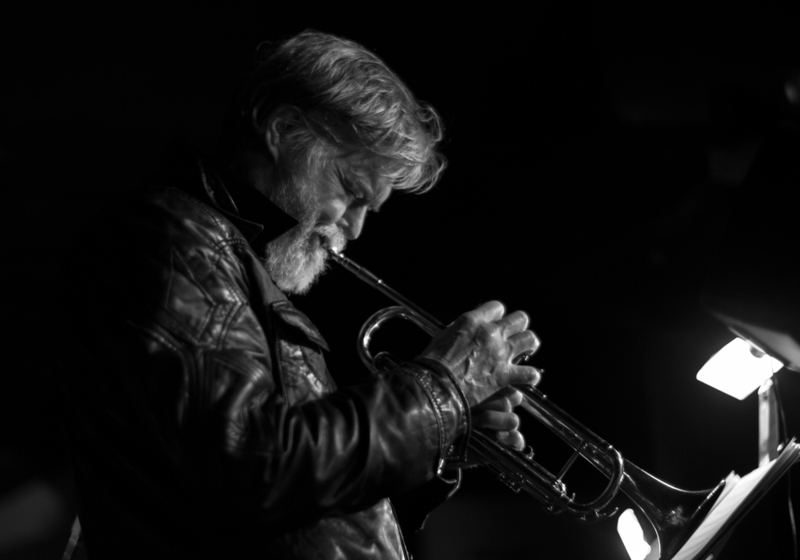 For his first album as a composer and bandleader on Germany’s iconic ECM label, Smith has chosen a subtlety that seems influenced by his most recent bandmates and peers. It’s a stylistic course that will be broadly familiar to fans of Manfred Eicher’s jazz-and-classical imprint, and less so to fans of Women as Lovers. 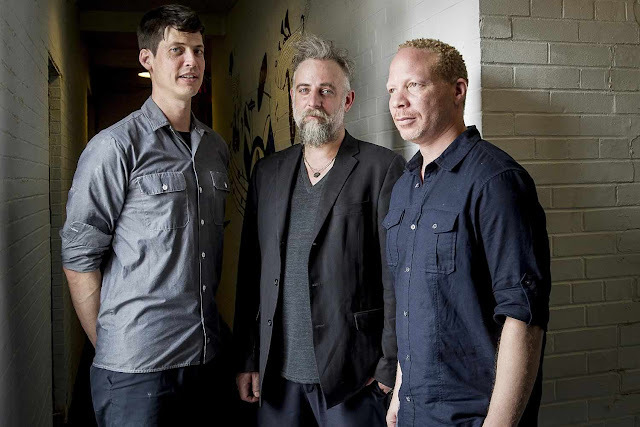 But The Bell isn't placid, either: In the company of pianist Craig Taborn and violist Mat Maneri—an experienced pair of collaborators—Smith forges a quiet intensity. There’s heat here, even if it takes some time to feel it. Things begin calmly. The album’s title-track opener announces itself with a lone, delicate smack of pitched percussion, before the other players enter. 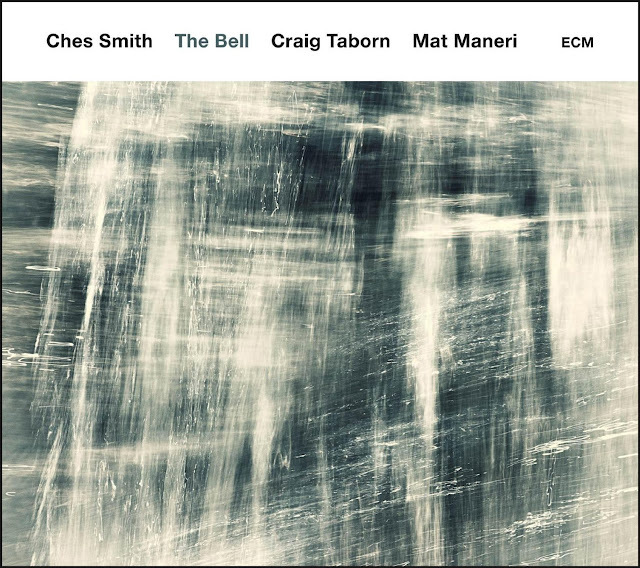 Though the nine-minute piece never strays very far from a static and spacious feel, there’s often something new happening: Smith moves from the bell-like elements in his kit to some vibraphone shimmers, or thrumming timpani playing. Maneri moves from a low drone on his viola to high-pitch wisps of brief, almost-scratchy timbre. Collectively, the group’s sound is constantly tempting you into a false sense of ease that individual players delight in subverting with little tics—adding extra notes to minimalist phrases before they become too predictable. While all The Bell’s tracks were composed by Smith, the group’s status as "an improvising trio" is clear during "Barely Intervallic," a cut where Smith indulges skittering, freer playing. "I’ll See You on the Dark Side of the Earth" and "I Think" follow the big-canvas, pensive-but-driven feeling of "Isn’t It Over?" In the album's final third, "Wacken Open Air" gives up its theme right away, the better to let us hear the group work the spare material into a potent acoustic riff. Maneri deals in some lyrical soloing toward the end of "It’s Always Winter Somewhere." And the finale, "For Days," re-establishes the set’s quiet equilibrium. The largely hypnotic, not-quite-repetitive quality of the music will, for some listeners, call to mind Taborn’s own Junk Magic, an early-21st century triumph of electrified chamber jazz (and an album that also featured Maneri). But The Bell isn’t just some less kinetic, acoustic redo of that project, with Smith holding down the percussion chair. Despite the album’s restricted range, it suggests a malleable aesthetic, likely the result of the year and a half these improvisers put in together before recording their debut outing. You can imagine this band doing a wide variety of impressive work, in the very near future: perhaps adding in some electronics, or including compositions from all members. But for now, it’s persuasive enough as a demonstration of Smith’s continued career shift into contemporary jazz. George Cables es ese tipo de jazzman sin los cuales el jazz no sería la música que es. Este pianista nunca ha sido un líder especialmente destacado ni ha sido un músico que se haya manifiestado por unas virtudes fuera de los común. Sin embargo, detrás de artistas como Dexter Gordon, Art Pepper, Joe Henderson, Woody Shaw y Frank Morgan entre otros muchos, se encontraba el piano de este hombre. Cables ha sido el ‘sideman’ perfecto, un profesional sin tacha. 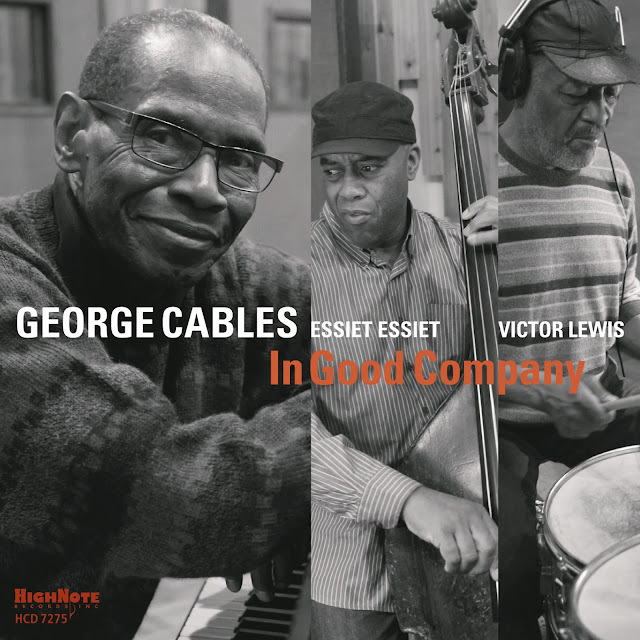 Ahora, con 70 años a la espalda, Cables edita este ‘In good company’ en el que pone de manifiesto lo buen pianista que es, su seriedad y su contenido lirismo. El repertorio de las diez canciones que componen ‘In good company’ hay dos temas compuestos por el pianista y el resto se reparten entre dos de John Hicks, ese pianista neoyorquino que no estaría de más recuperar; dos de Duke Ellington, ‘Love you Madly’ y esa declaración de lo que es la esencia del jazz que se titula ‘It Don’t Mean a Thing (If It Ain’t Got That Swing)’; tres de Billy Strayhorn (‘Lotus Blossom’, ‘Lusf life’ y Day dream’) y una de Kenny Barron. Con todos esos mimbres el resultado no puede ser otro que un disco con mcuho swing, muy ‘harboperiano’, con un aroma muy jazz clásico y muy bien tocado. De båda musikerna har spelat ihop i perioder sedan uppväxtåren i Lidköping då de tillsammans började utforska jazzens olika former och uttryck. Duon framför kompositioner och improvisationer i tätt samspel. Vackra melodier och musikaliska fantasier i det lilla kammarmusik-formatet med det stora uttrycket. "En alldeles utmärkt jazzkväll. 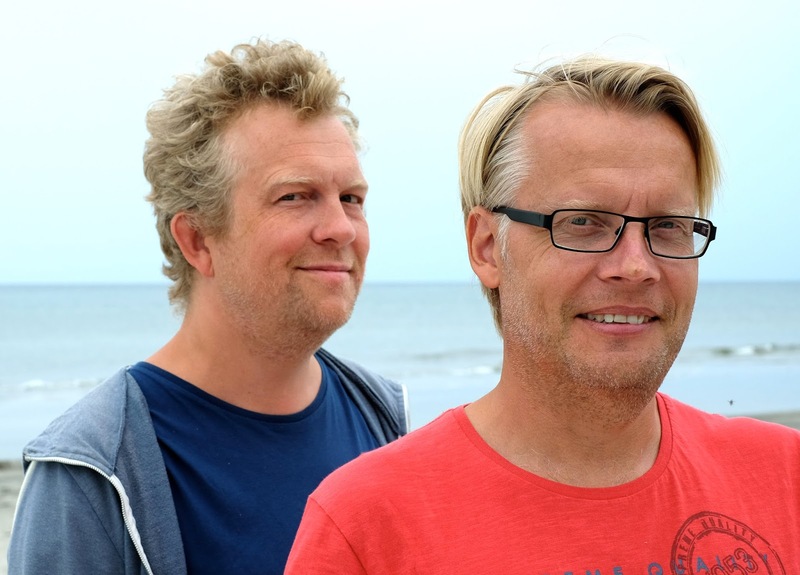 Blåsaren Fredrik Ljungkvist och basisten Mattias Hjorth började spela ihop för 30 år sedan. 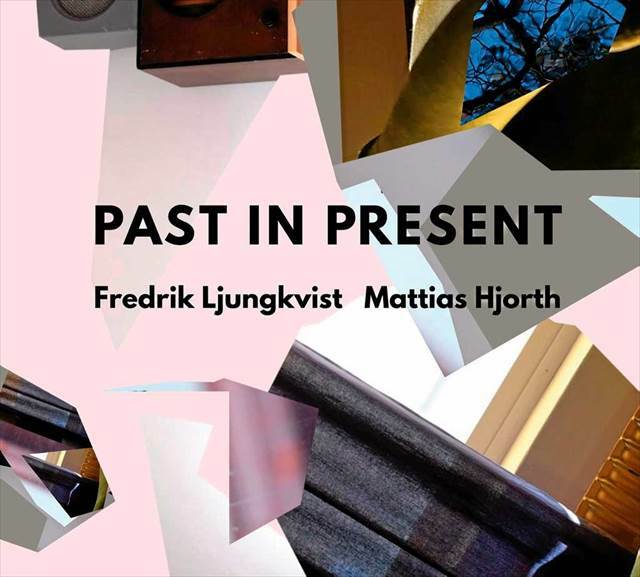 Sånt firas förstås bäst med det första duoalbumet, "Past in Present", och en releasekonsert på Underground.De två spelar egna låtar, kluriga, snirkliga och sirliga och nästan lika oberäkneliga som Ljungkvists solon. Farten går sällan upp och emellanåt blir det melodiöst på ett lite avigt och eget sätt. Luften och pauserna har så viktiga roller att de kändes som ett tredje instrument där på scenen. Mattias Hjorth och Fredrik Ljungkvist växlar hela tiden mellan att spela unisont, i stämmor och helt olika saker. Lyhört. De kan sina låtar, men utforskar dem samtidigt. Och musiken hinner liksom smyga in under kragen på en innan man riktigt fattar hur bra den är. Ljungkvist har gjort sig känd för att kunna skapa egensinniga avantgardistiska musikprojekt och grupper och att kunna friblåsa helt utan spärr. Ihop med Hjorth nöjer han sig med enstaka korta utbrott, men känslan av att Fredrik Ljungkvist närsomhelst kan ryta till eller spurta loss sätter en positiv spänning i den varma och vänliga duomusiken. Läckert, och ovanligt, att tenorsaxofonisten så gärna plockar fram klarinetten. Dess träklang tillför inte minst modern jazz en extra dimension." A few notes on some of the pieces and their titles: “I started writing “After Several Snowstorms” one morning during the winter of 2014 when New York was getting dumped on. The opening bass line (which quickly morphs during the opening tenor solo and returns briefly at the beginning of the full ensemble material) has three groups of two notes… a series of one-two punches. “Sometimes It’s Hard to Get Dressed in the Morning” and “Let’s Say it Comes in Waves” both reference our son Owen, and the challenges of parenting. “Life’s Hurtling Passage Onward,” What Can be the Set to the Side” and “What’s Equal to What” all come from the same Richard Ford passage that “The Arrangement of Unequal Things,” the first track on Golden State II, came from. “Meli Melo” is actually the French name for a Canadian snack mix called (in English) “Bits and Bites.” I started writing the book for Canada Day IV with a bunch of short pieces – some of which became duet pieces within longer structures, and two that ended up making up this last piece on the record – and they all had the title “Bits and Bites” with numbers assigned to them. 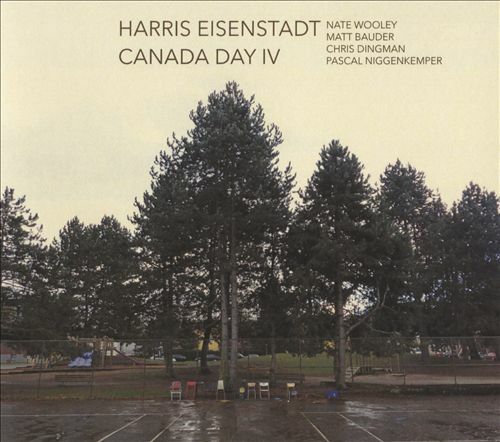 Canada Day IV will next perform as part of Eisenstadt’s residency at The Stone from September 1-6. For more information: www.harriseisenstadt.com. The interview is linked from the Songlines release page. 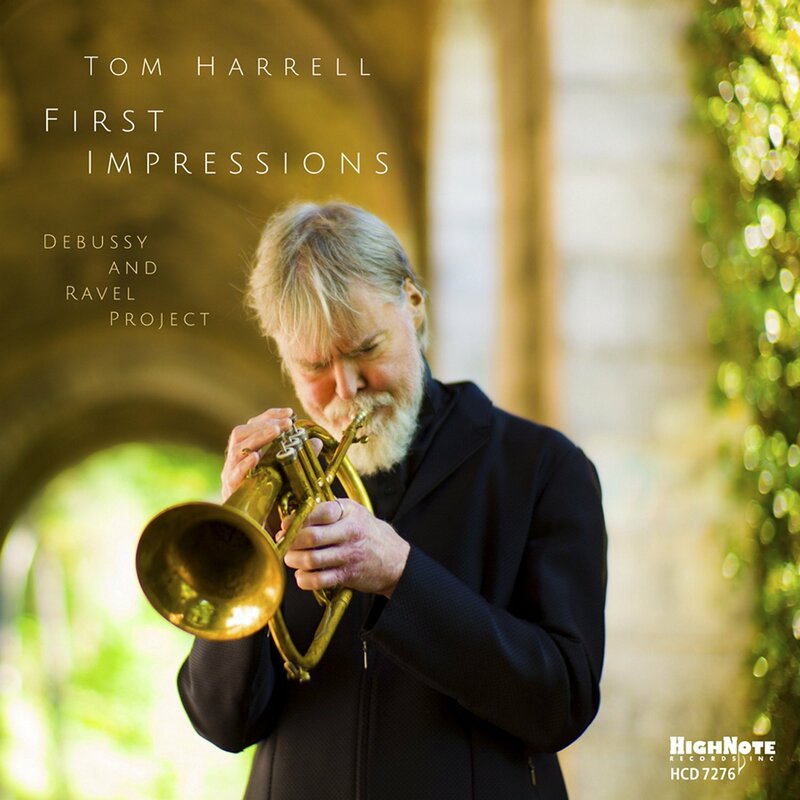 "Both Debussy and Ravel transformed the world of music by creating a new sensibility of beauty of sound," says trumpeter/composer, Tom Harrell, who himself is known for his superb lyricism and poetry in his playing and writing. "I am attracted to their music because of their use of Afro-Hispanic and Afro-Cuban rhythms and melodies. I am also deeply influenced by tone poems, so writing arrangements for a project that explicitly celebrates two of my favorite French composers, Debussy and Ravel, makes complete sense to me. I was thrilled to write extended forms that are rich in modal harmonies." On his new album, FIRST IMPRESSIONS, Harrell interprets the works of these two French composers with his nine-piece chamber ensemble. The personnel include:s the members of his working band of 10 years – Wayne Escoffery (tenor and soprano sax), Danny Grissett (piano), Ugonna Okegwo (bass), and Johnathan Blake (drums); a notable jazz woodwind player, Charles Pillow on flutes; and three string players who are equally adept at classical and jazz repertoires - Meg Okura (violin), Rubin Kodheli (cello), aand Rale Micic (guitar). For Harrell, this project is a natural progression in his musical odyssey. His affinity for the European classical tradition is apparent in some of his previously recorded works. 'Majesty" (LABYRINTH, RCA 1996) "Baroque Steps," and "Morning Prayer, Part 1" (PARADISE, Bluebird/BMG 2000) and "Snow," (WISE CHILDREN, Arista/BMG 2003) are some of the pieces inspired by European classical music. "Voices" based on Ravel’s “Vocalise-Étude en Forme de Habanera"